The Warden Plaza, the red brick structure at left, is reflected in the puddles of a rooftop parking lot across the street. Jason Liska, of Fort Dodge, holds a light that shows a decaying piano in the basement of the Warden Plaza. -Messenger photo by Hans Madsen Photographers Jason Liska, at left, and Sheila Hansen, both of Fort Dodge, ready their gear for a Fort Dodge Area Camera Club photo safari in the Warden Plaza Saturday afternoon. 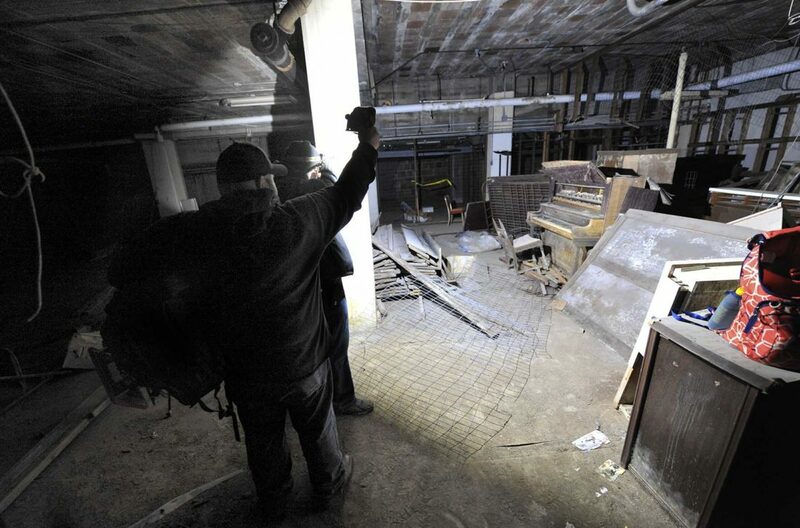 A series of late week and weekend photo safari were the last opportunity for the group to explore the old building before some of the preliminary work gets under way. 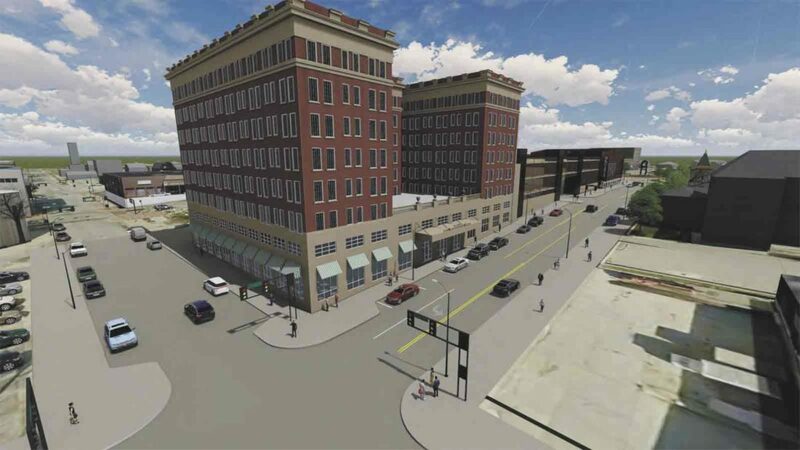 The Warden Plaza in downtown Fort Dodge awaits further development work. 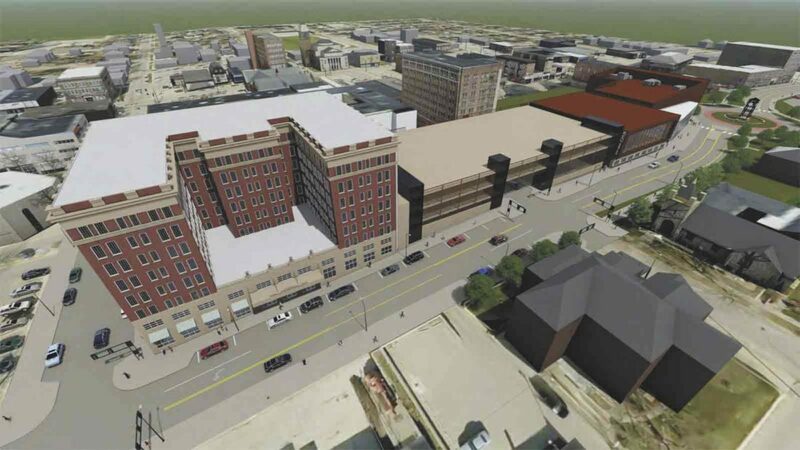 The view of the parking garage that would span 10th Street downtown is envisioned here. -Submitted illustration An aerial perspective of the proposed Warden Plaza expansion project is seen in this illustration provided by KDG LLC. The structures,both old and new, are portrayed as they are envisioned in this illustration. 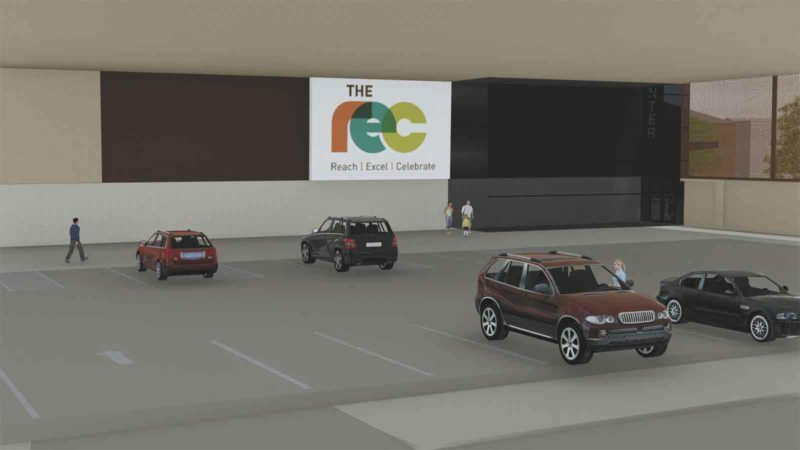 In this illustration, an entrance to the REC is envisioned. The perspective is from the proposed parking garage that would be adjacent to the original Warden Plaza building. The view of the the Warden Plaza as it would look after the project is shown. The extension to the Warden Plaza is envisioned here. The Warden Plaza and the property around it look much the same as they have for the last decade. But in government and business offices, work is being done out of the public eye that would turn the area into a new showpiece for downtown Fort Dodge. 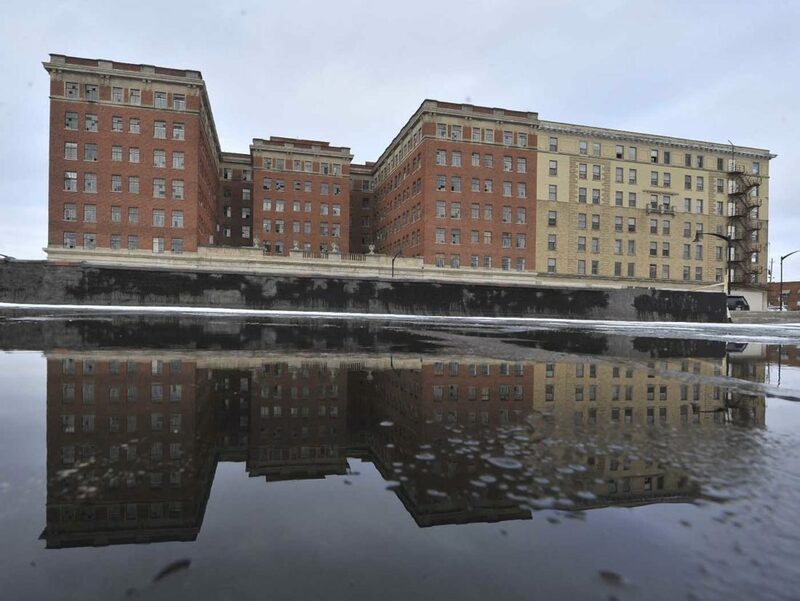 The plans in the works would create 120 apartments on the upper floors of the Warden Plaza while establishing retail space on the first two floors. Those plans would also result in a new wellness and performing arts center that would be just east of the Warden Plaza on First Avenue South. A new parking garage with space for 400 vehicles would be constructed to serve the entire complex. Last year, the Webster County Board of Supervisors and the Fort Dodge City Council created the Webster County Wellness and Cultural Authority, which will own the proposed wellness and performing arts center along with the parking garage. “We are going to set a really high mark in city and county cooperation and build an awesome facility,” City Manager David Fierke said when the City Council approved the new authority on Nov. 13, 2017. The authority will be led by a three-member board whose members have not been appointed yet. It will finance the construction of the new center and parking garage. After construction is finished, the authority will lease them to a nonprofit entity that will handle the the day-to-day operations. The authority will not be involved in the renovation of the Warden Plaza, which is a private project planned by KDG LLC, of Columbia, Missouri. The financial aspects of the project will be a focus for much of this year, according to Fierke. KDG LLC will continue to work on getting the financing it needs for the Warden Plaza renovation. Meanwhile, a fundraising campaign will launched to generate some of the money needed to build the wellness and performing arts center. The Warden Plaza at 908 First Ave. S. has served as a hotel and apartment building over the decades. Excavation began on Aug. 22, 1922. The original part of the building, consisting of four stories with a mezzanine, was completed in 1924. The Warden Arcade formally opened on Nov. 8, 1924. Apartments, and a penthouse with a swimming pool, were added from 1924 to 1926. In the early part of the 20th century, it housed a hotel, stores and apartments. A tobacco shop, dry cleaner, radio station, fur shop, coffee shop, the state liquor store, a restaurant and professional offices were all located there over the years. The last apartment residents moved out about 12 years ago, and the building has been vacant ever since. In March 2016, the city government filed a petition in Webster County District Court seeking to take the building from Coralee LLC, of Oakland, California, under the terms of the state’s abandoned buildings law. A judge ruled in the city’s favor, and the local government took ownership of the site in July 2016. On Dec. 19, 2016, the City Council gave the building to KDG LLC. “We’re really excited about the project,” Kevin Kearns, managing member of KDG LLC, said following the council meeting that night. 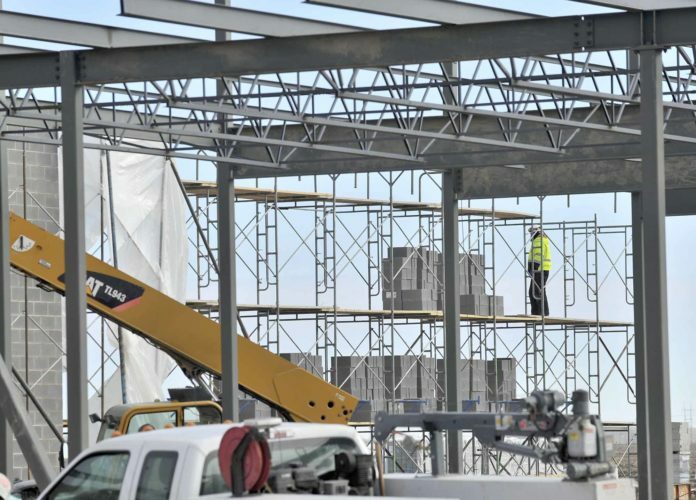 In taking ownership of the building, the firm agreed to invest $30 million in it. Since acquiring the building the company has been working on the financing. 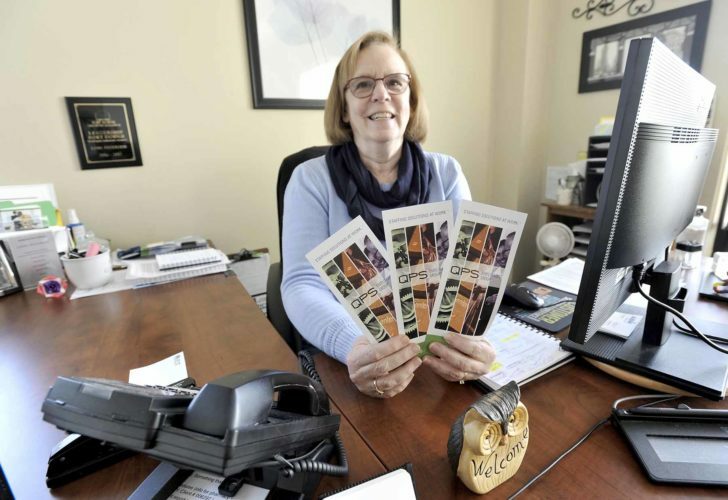 Applying for federal and state historic preservation tax credits was one of its first moves. 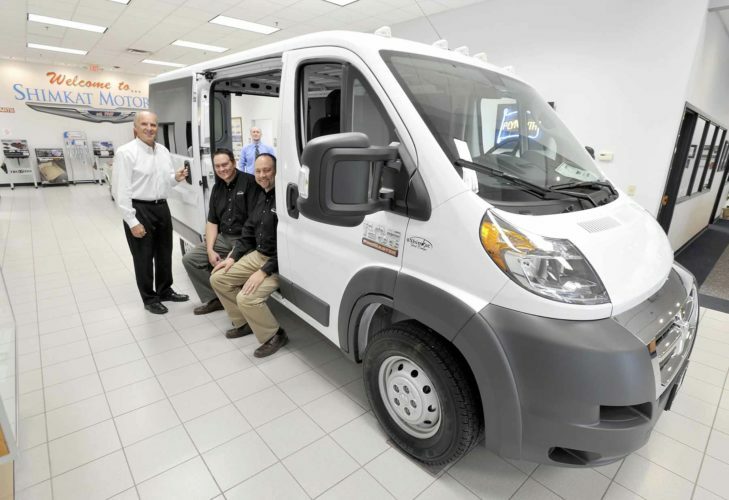 The federal credits are worth up to 20 percent of the company’s investment and the state ones are worth up to 25 percent of the investment. 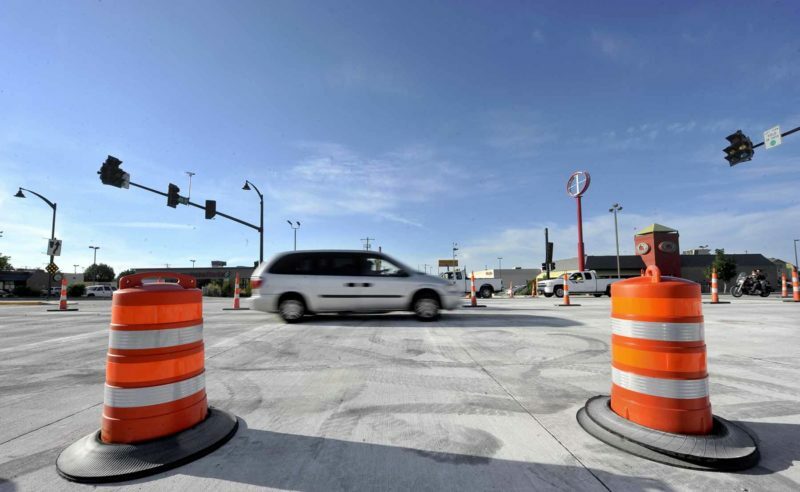 “Historic tax credits are a big piece of the puzzle,” said Chad Schaeffer, the city’s director of engineering, business affairs and community growth. He said applying for the credits is a two-phase process, and KDG LLC is in the first phase. 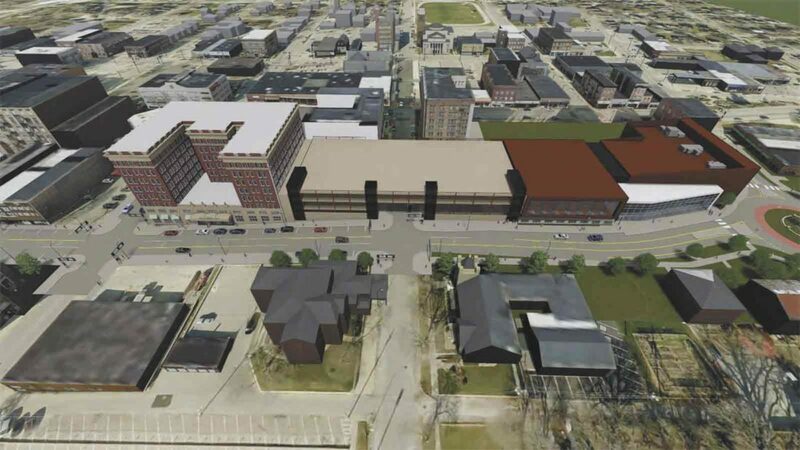 The current plan calls for tearing down the Wahkonsa Annex, which is the light-colored brick building attached to the east side of the Warden Plaza. According to Schaeffer, the officials who award the historic preservation tax credits are trying to decide if the Wahkonsa Annex is indeed a separate building before they act on awarding the credits. This proposed facility would replace the Fort Dodge Community Recreation Center at First Avenue South and 15th Street and at the same time create a new performing arts venue. That concept was replaced with a new plan for a $37.9 million facility that would be east of the Warden Plaza. The Wahkonsa Annex would be demolished to make way for it, and part of South 10th Street would be closed. Some of the needed property for the proposed center is owned by Heartland Communications Group Inc., of Fort Dodge. 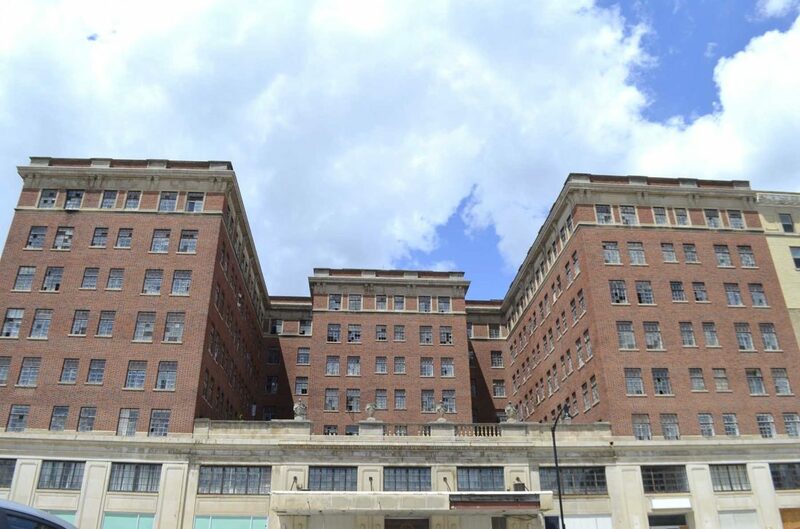 “As owners of the Carver Building and a major employer downtown, we see this as a catalyst project that matches the investment and mission that Heartland has sought in reinvigorating downtown for many years,” said Lucas Peed, the son of Heartland Chairman Joe Peed and a shareholder in the company. Mayor Matt Bemrich acknowledged Joe Peed’s commitment to downtown Fort Dodge.